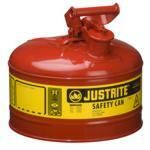 Made from high-grade coated steel, each can is tested to guarantee 100% leakproof construction. 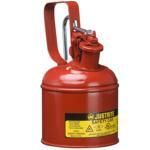 The tough powder-coat finish resists chemicals and stands up to demands of rigorous use. 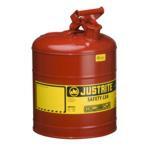 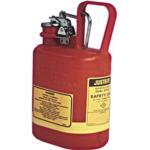 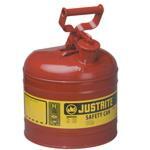 Each Justrite safety can is equipped with a stainless steel flame arrester which dissipates heat to stop flashback ignition. 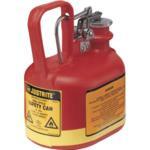 Cans up to 1 Litre feature a trigger-release handle, while larger capacities have a swinging handle to greatly ease carrying of heavier loads. 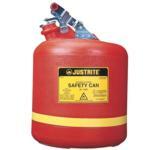 Large label ID zone on swing-handle cans provides writing space to identity contents, department location, or individual user name.